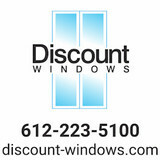 Discount Windows Inc Is A Twin Cities Premier Window Replacement Company. We replace windows, patio doors, and entry doors. At Discount Windows, we protect your investment by ensuring that quality installation comes first. Our installation teams have undergone rigorous training and are committed to installing your windows and doors the right way, the first time. We inspect our work frequently to ensure these high standards are being followed to a T. Proper installation is critical, count on Discount Windows’ team to custom fit your new windows. And because we want your windows to last, we only install the best windows! 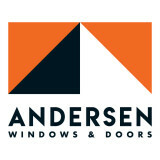 Call us today to choose from the largest choice of window styles, materials, and quality brand name such as Andersen, Marvin, Alside or Sunrise. When it comes to quality & price, we have the best Twin Cities windows for your home or business, guaranteed! 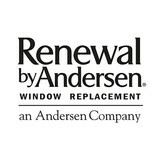 Time to replace your windows? You've come to the right place! Since 1997, we’ve been providing exceptional service and premier products to households throughout Metropolitan Minneapolis. From energy efficient windows and doors to the distinct and unique, we will help you choose and install picture-perfect products to enhance your home. THE BEST WINDOWS, THE BEST RESULTS We work with most major brands of windows and doors, including Marvin, and offer complimentary, in-home consultations to provide accurate estimates and superior service. Whether you’ve experienced window damage or simply want to change the look of your home, we’re your resource for quality window replacement and superior customer service. We are a locally owned Window & Door Contractor serving the Twin Cities of Minneapolis and St Paul. We take great pride in our high quality workmanship as well as the fact that we strive to put our customers first. 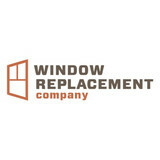 When installing or replacing windows or doors, the company you choose is just as important as the windows you choose. When you choose A Pane In The Glass Construction you are making an excellent choice for your home! We can make your project an effortless reality whether you need replacement windows, doors, or siding. We have extensive knowledge and experience, as well as the skills required, to complete all of our work with the highest degree of quality and customer satisfaction for both residential and commercial projects. Our mission at True North Glass is to provide exceptional service and affordable prices to every customer. One of the ways that we fulfill that mission is by making the glass repair process as easy as possible! From the first call to the completion of your windows or glass we are with you every step of the way. We offer free quotes, and most replacement window installations are completed in just one day! Also, all old window debris is cleaned up and hauled away at no additional charge. There are no extended warranties or additional contracts to purchase, you automatically get the industry's strongest replacement window warranty at no extra cost to you. We stay on the cutting edge of technology and always deliver the very best quality for a worry free professional installation. If you have any questions or concerns, please don't hesitate to call us. New Windows for America is a leading home improvement company providing homeowners in Minneapolis, St. Paul and throughout the Twin Cities area with quality replacement windows, baths, vinyl siding installation, and other home improvement services. Many of our products increase energy efficiency and keep your family warmer during our cold Minnesota winters. One of our most popular products is The Minnesota Window. We can help you find the right windows for your home from our large selection. Our professionals can walk you through your replacement window options so you can find the perfect windows for your home, needs and budget. We also have a large selection of exterior doors designed to complement your home and eliminate uncomfortable drafts. Plus, with products like our baths, vinyl siding and attic insulation, we can help you save even more on your utility bills. A Replacement Window Company offering an extensive line of products with windows in practically every style and size you can imagine. Includes installs by expert window technicians & a lifetime warranty. You'll never have to spend another dime on your new windows. At Craftsmen Home Improvements, we desire for each of our customers to have the best experience possible. That is why we offer a lifetime labor warranty. All of the work we do in the home is guaranteed to satisfy the customer, or we will come and make it right or make any repairs at no charge to the customer. AT WINDOW CONCEPTS WE BELIEVE... Customers Come First, Always Reliability is the Key to Success Quality Service & Products Guaranteed At Window Concepts of MN we have been family owned for over 18 years. We believe in developing long-term relationships with our clients. We want to be your go-to service for your current project and any others you may have in the future. We strive to offer the highest quality product and service. We have created our showroom allowing our customers to experience the latest and most innovative products available today! Wellington Home Improvements is a locally owned and family operated replacement window manufacturer and exterior remodeler servicing Minneapolis and Milwaukee. All Wellington Windows are ENERGY STAR rated and manufactured locally in Minnesota. Our full-line of services include - replacement window and door installation, roof replacement, siding installation and seamless gutter installation. Let our experts take care of all of your home improvement needs! A & A Millwork specializes in manufacturing architecturally correct wood windows for older homes and buildings. Not only are our windows designed to maintain your old home historical architectural appearance, but are built to last another 100 plus years! We take pride in every window manufactured by having a 20 point inspection before it leaves our building. We understand the older homes. Custom is our normal as every window we hand make is exactly, custom. Our goal is to provide you with a great experience working with our company and providing you with superior wood windows you will enjoy for a lifetime! We specialize in the following historical custom wood windows: •Custom Wood Storm Windows •Custom Wood Screen Windows •Custom Combination Wood Storm Windows •Custom Arch/Circle Top Wood Storm Windows •Custom Wood Double-Hung Rope & Pulley Windows •Custom Wood Double-Hung Sash Kit Windows •Custom French In-Swing Windows •Custom Fixed/Picture Wood Primary Sashes •Custom Basement Wood Cellar Sashes •Custom Wood Barn Sashes We special in exterior and interior doors such as: *Primary wood entry doors *Wood Storm Doors *Interior doors *French doors *Closet doors Rotted trim on an older home can lead to devastating damage to your home. At A & A Millwork we specialize in replicating your historical exterior trim and providing installation. We manufacture mouldings in house- we have over 2500 profile knives. Call us today or stop by our showroom! 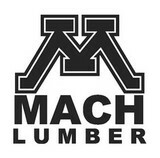 Fabricator and Distributor of fine millwork. Fabrication includes custom window grilles, simulated divided lights, casings and jambs, geometric windows, decorative windows. Distribution includes Apex Molded Millwork, Amesbury Truth Weatherseal and hardware. Sun Control of Minnesota is a family owned and operated business that offers Professional Window Tinting Services. We first started out in one office with two part time installers, and we have now grown our business with over 15 employees badge-1980and four different locations in the metro area. We continue to expand our relationships with customers, as well as our service and quality of work. We offer a complete line of Window Tinting services for Automotive, Commercial, Residential, & Marine applications. Our products include Decorative Frost Films, for glass enhancement; Safety/ Security Films, for Anti-Theft and Blast Protection; and 3M Paint Protection Film, for Automotive Rock Chip Prevention. We focus on helping our customers reduce damaging UV rays, excessive solar heat gain, and glare from their interior spaces. UV rays, solar heat, and visible light are the main contributors to fading concerns in homes. Window Film reduces these elements to provide a beautiful view without having to close out the natural sunlight with a shade or blind. We provide the quality that competitors can’t even touch. Our Mission is to Provide the Highest Quality Service, Products, and Installation in the Solar Energy Control Tint & Glass Film industry. Whether you’re building a new Shakopee home, remodeling an old one or just replacing a few windows that are past their prime, your window dealer in Shakopee, MN will help you pick the right windows for your needs, home style and budget. Windows come in so many sizes and types that expert advice and direction is invaluable in helping you make the best decision. These pros can also help you with custom window designs that complement your space better than something ready-made. Lastly, if you are interested in doors with windows, these experts are also knowledgeable about sliding doors, French doors and other paned portals. Your window pro might work closely with other Minnesota builders and remodelers as well. Here are some related professionals and vendors to complement the work of window sales & installation: Window Treatments, General Contractors, Home Builders, Specialty Contractors, Siding & Exteriors. Find a window dealer on Houzz. Narrow your search in the Professionals section of the website to Shakopee, MN window dealers. You can also look through Shakopee, MN photos to find examples of windows that you like, then contact the window professional who worked on them.